So in the not too distant past, I found myself in an exquisite land filled with endless pots of fondue, ubiquitous mounds of chocolate and, well, haughty French folk. Yes, it was Geneva, Switzerland. The second most populous city in Switzerland, home of the Jet d'Eau and that giant flower clock that is so strangely famous and fantastically popular with the tourist crowd. Now although I was often bound to my work related duties, I couldn't help but pursue my bloody mary thirst. For better or worse, such is the way of a bloody mary enthusiast, and I couldn’t miss out on this boozy opportunity. But unfortunately, my thirst was never quenched, and below lay my notes from what I can only describe as the most strenuous bloody mary journey I have ever encountered. The best of the three, but I hesitate to use the word "best" in any part of this review. Plenty of ice left the tomato juice drinkable, even with a straw. Not something I would praise before encountering the bloody marys of Geneva, Switzerland but now very much viewed as a positive note. All the ingredients one might expect but aside from the nicely presented cherry tomato garnish, don't expect much. 14 Swiss franc. 2 Celery Stalks. Drinkable. I spent a grueling four weeks living at this hotel, so perhaps my slightly forgiving review of this bloody is somewhat tainted by my continuous exposure. 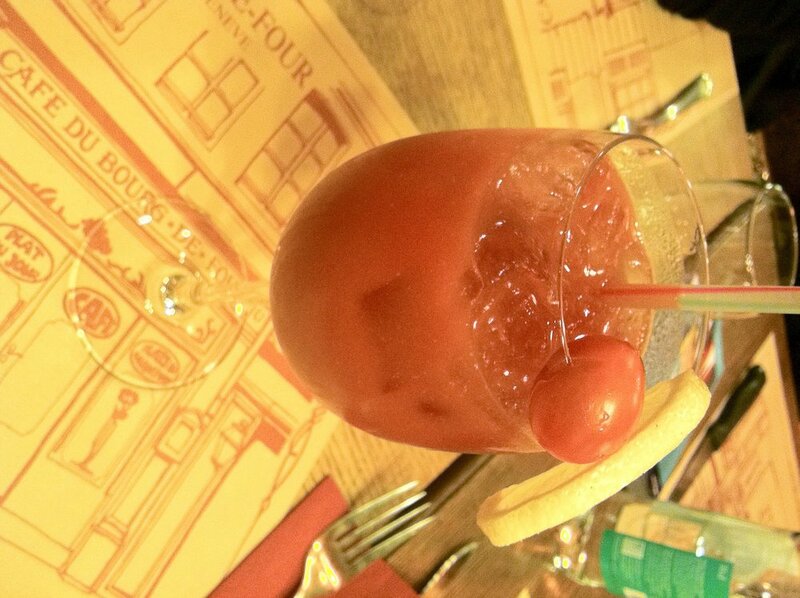 Like a bit of Stockholm Syndrome, bloody mary style, I was a captive imbiber, but so be it. Thick and salty, at least it came with ice and a lemon. Ask for the extra hot sauce. It's just Tabasco, but it'll get you through. Only to be consumed in the most dire of circumstances and definitely only with an expense account. 23 Swiss franc. 1.5 Celery Stalks. Bloody. Mary. Hell. Thick, salty and lots of Worcestershire, this room temperature bloody will set you back 17 Swiss franc and no, you don't get any ice. I can't imagine why you would want to subject yourself to such a horrific experience, but if you're looking for possibly the worst bloody mary in the history of bloody marys, you've found the right spot. 1 Celery Stalk. Cafe du Bourg de Four Place du Bourg-de-Four 13, 1204 Genève, Switzerland. P: +41 22 311 90 76. Moevenpick Hotel & Casino Geneva Route de Pré-Bois 20 1215 Geneva, Switzerland. P: +41 22 717 11 11. Wine & Beef Rue Pécolat 4 1201 Geneva, Switzerland. P: +41 22 732 53 45.